Art Kewin is senior counsel at Integrated Legal & Financial Solutions, a unique Canadian firm that offers both legal and financial services where the law and personal finances converge: life transition planning. b.	engaged in retirement and estate planning while in a blended family. b.	savings in professional fees and taxes. 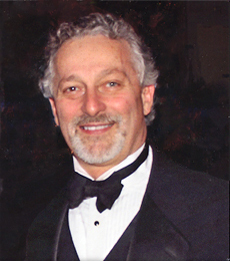 Art is a senior matrimonial lawyer in British Columbia and a Certified Financial Planner®. He litigated or mediated business and matrimonial cases for 18 years. Since 2000 Art has exclusively offered alternative dispute resolution services as a mediator, arbitrator and collaborative lawyer. Before practicing law Art served in the New Zealand military, Captain (Rtd) RNZAEC, as an organizational psychologist. Art, his spouse and their son share their passions for snowboarding and bicycling for fitness and adventure. However motorcycling – whether around the continent on his BMW sport-touring bike or along logging roads of the Pacific Northwest on his dual-purpose bike - remains his own irrational exuberance. i. Art listened and asked pertinent questions to keep our conversation on track. ii. He inspired my trust through his honesty and his mastery of the law and finance. iii. He offered options for me to consider. I feel I will have control going forward." "I was referred to Art through a friend of mine and found his advise extremely helpful……Art was able to explain things in a very down to earth way. I have a complicated legal issue to resolve and his advise helped me to navigate through the steps I need to take. He assisted me in seeing the realness of the situation as well as the emotional aspects that were also in play for me. His view point is unique because of his diverse experience and having professional background in psychology, law and finance. He was candid and very honest with me, which I appreciated because his advise came from a perspective which was extremely professional." "Firstly, YESTERDAY WAS AWESOME... informative, calming, confidence building, and forward thinking." - S. M., 19 August 2009, Business owner seeking a divorce without destroying the family business. "I am writing to you to say a huge 'Thank You' for your help and advice on my recent divorce. You have literally saved me tens of thousands of dollars in extra legal fees and court costs. Your keen insight and timely advice also has helped through the emotional nightmare of my divorce. Thank you again and I will certainly recommend you to anyone I know who finds themselves in a divorce situation." - S.G. Life Insurance Salesperson. "You were the most prepared lawyer and you understood the issues better than the others." "I know it seems like a conflict of interest because you did the Integrated Wealth Strategy Plan for my professional practice and investments, but S…(spouse) and I both trust you. Will you mediate our divorce." - D.G. Accountant in public practice partnership.